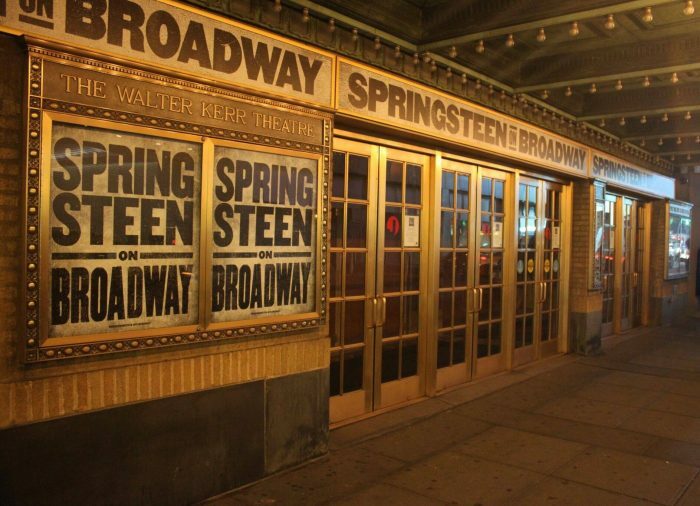 Springsteen On Broadway now sold out! All performances of Springsteen On Broadway are now sold out. The digital lottery will continue to operate through the June 30th performance. For details on how to purchase tickets through the digital lottery, visit luckyseat.com/springsteen-broadway. Can't make it to New York City? You can also listen to the show's official playlist on Spotify and Apple Music here. For additional questions about the show, visit brucespringsteen.net/broadway.